When I first started learning Chinese in 2009, I followed the “traditional” language learning route. I went to classes, took notes and sat in my small cramped apartment in downtown Taipei writing hundreds of characters. I was learning, but I was tired and feeling bored. I often found myself lacking motivation to go to class knowing that every class would conclude with multiple writing assignments. Sounds familiar? Well, I was about to give up on my studies when, by chance, I heard several of my classmates talking about an online podcast they had been listening to at school. A quick research revealed three or four other programs and software that online language learners were using to create virtual classrooms. I tried these programs and software and loved them, so much so that in the next two or three years I ended up creating a virtual Chinese-learning classroom for myself, a classroom that I could access whenever and wherever I wanted. Today, I’d like to share some of these virtual-classroom tools with you, in the hope that it’ll enable you to regain motivation, learn more efficiently, and have fun treading the path leading to fluency in Chinese. Sounds like a deal? With smart phones everywhere and fast-reliable internet connections only a click away, the language learning game has changed significantly. Language learning is no longer dominated by classroom-based learning; instead, apps, software and online tools make location independent learning possible anytime and anywhere. No more excuses! 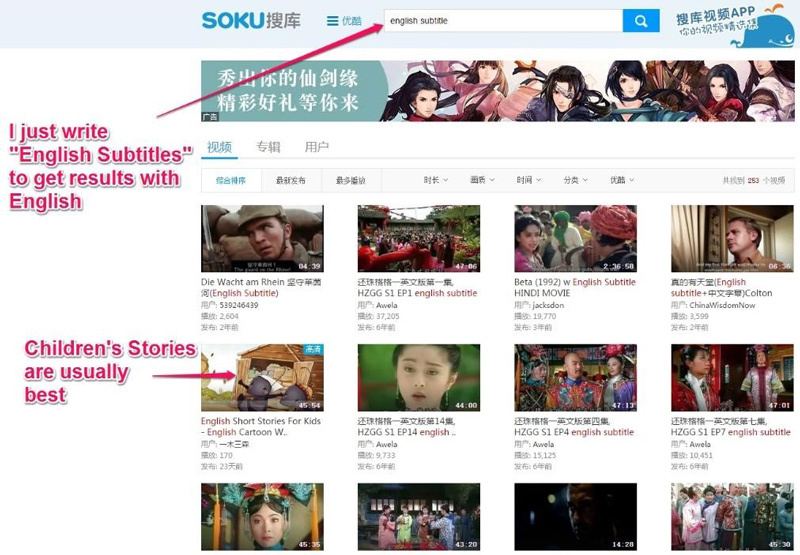 The following 8 online tools I’m about to introduce can be used to quickly and dramatically improve your Chinese. I’ve used every one of these methods in my journey to go from zero Chinese to a pretty respectable degree of fluency in a year. So why not give it a try and see for yourself? If you’re a serious Chinese learner and you haven’t made use of this tool yet, then you’re missing out. Chinesepod started off from humble beginnings as a simple podcast, but it’s grown into a popular platform that contains so much more. 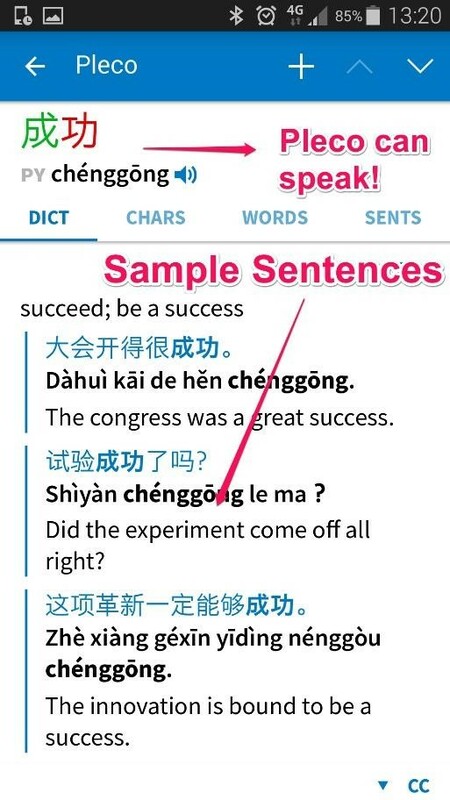 ChinesePod’s library of 3,500+ lessons come with dialogues filled with grammatical explanations, vocabulary lessons, grammar exercises, online tutoring and flashcards. With so many lessons, you can find topics about nearly anything you can possibly dream of, which is especially useful when you want to go over vocabulary specific to a situation, say purchasing a sim card in a convenience store! Listening to podcasts and dialogues only in Chinese will dramatically increase your Chinese skills, and it’s a pretty productive way to spend your time commuting to school or work. ABCs of Chinese is a website that uses image-based character recognition to let you memorize Chinese characters. This method is a great alternative to rote-memorization and endless hours of writing. The underlying premise behind our writing curriculum is that we understand all Chinese characters are pictures. When you look at a Chinese character, you’re not looking at a random assortment of lines, swoops and slashes; you’re looking at a stylized pictograph or ideograph — a picture. Most Chinese characters are actually made up of several simpler pictures … The approach we take in our writing curriculum is that we believe students should FIRST learn these simpler building block components before they begin learning whole Chinese characters. As you learn these basic components, you will discover all the Chinese characters that contain them, and when you have learned all the components that make up a Chinese character, you will unlock that character. For more information, check out their videos on YouTube; pretty cool stuff! Every language learner needs a dictionary. This is especially true for Chinese learners who must memorize the stroke order for each word (those of us learning how to write, that is). Pleco is my absolute favorite dictionary. The amount of options and features that this dictionary provides beats all of the others out there. Best of all, Pleco is a free app for both Android and iOS. Any word you look up includes related meanings, sample sentences, stroke order and a flashcard option. The app also has a character recognition camera; point your phone’s camera to any Chinese character and the app will find and translate the character for you. Great when on the road! Next on the list of awesome dictionaries is Nciku.com. This is a simple online dictionary, but what I really enjoy about it are the example sentences it provides when searching for words. 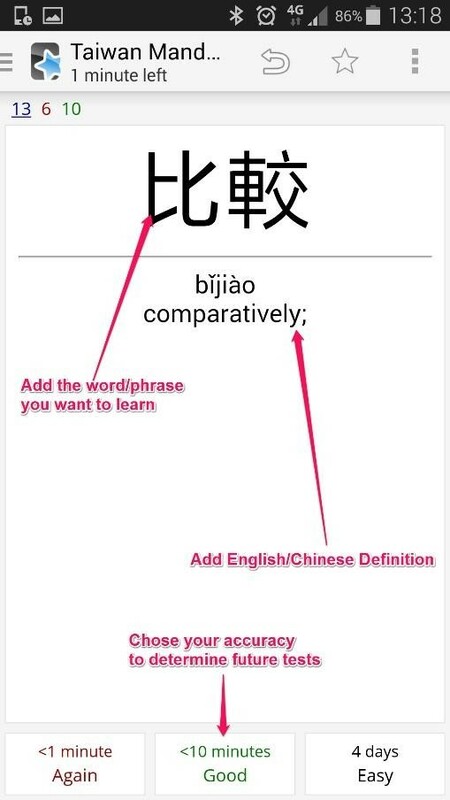 I find this particularly useful when studying Chinese, as I often confused about the different contexts in which a given word can be used in. Nciku helps clear that up with the amounts of sample sentences offered. Personally, my preferred study method is to use Nciku on my desktop and Pleco on the road. Some people have an amazing ability to remember information, but the rest of us just don’t. Here comes Anki to the rescue: it’s a spaced-repetition software that uses your answers to judge how often you’ll get to see a particular card. After seeing a card, you’re prompted to make a self-assessment of your ability. Anki then uses its algorithm to decide when to show you the card again (say, right away, in a few days’ time, or in a few weeks’ time). With Anki, you build different decks of cards, which can all contain a similar theme or related words. I used to have one for animals, fish, foods, slang and words I had particular problems using in real-life situations. 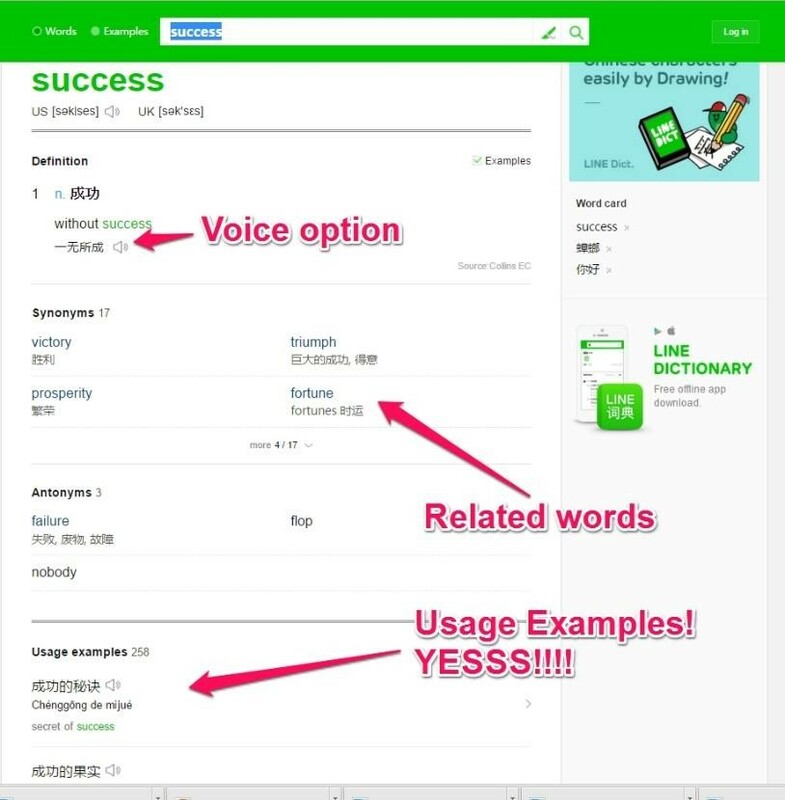 You can also add sound, images and entire paragraphs of text to your flashcards. Overall, a pretty useful app, available on Android, iOS, and desktop. Learning Chinese is all about the amount of hours . The more time you spend speaking, the better your Chinese will be. Assuming most of you don’t want to talk to inanimate objects, you’ll require actual real humans. This is where language exchange comes in. 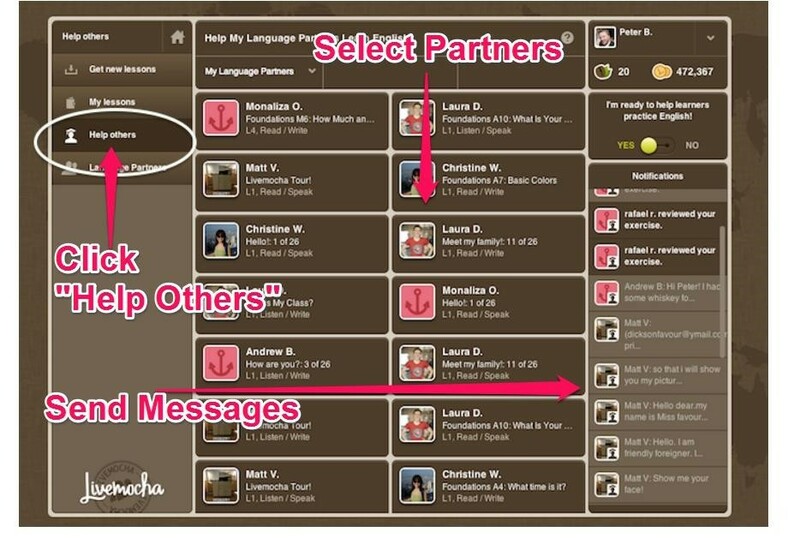 There are lots of websites offering language exchange partners and matchups. A lot of these are great, one of them is even greater, and it’s so obvious you might’ve not even thought about it: Facebook. The problem with most language-exchange websites is that people aren’t online that often. When you use Facebook, people are online all the time. 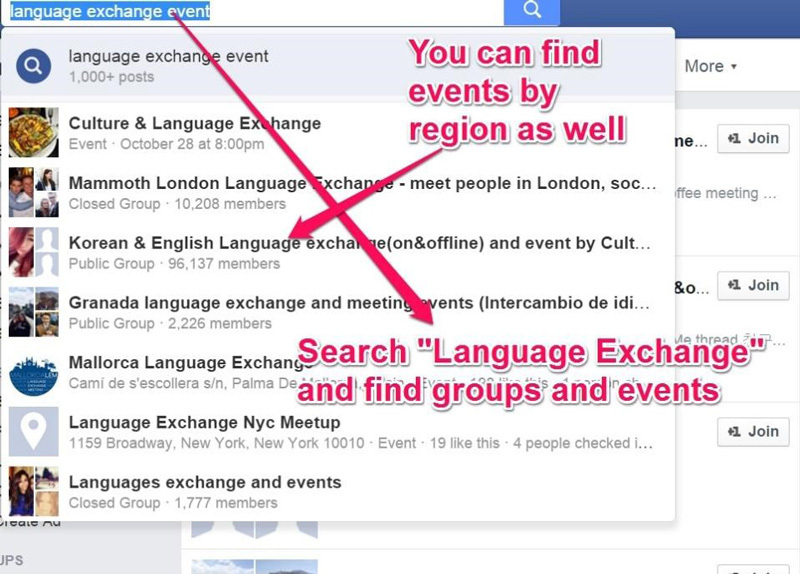 I use Facebook to find language exchange opportunities and events around me. Connecting and maintaining connections with people there is a lot easier. Despite the fact that I mostly use Facebook to find language exchange partners, I’ve used a couple of other great language exchange platforms. LiveMocha is one in particular. They have an interactive platform that allows learners to progress through multiple levels to achieve various language learning milestones. Along the way, you get to connect with various other language learners. This feature, though, is one of LiveMocha’s paid features. 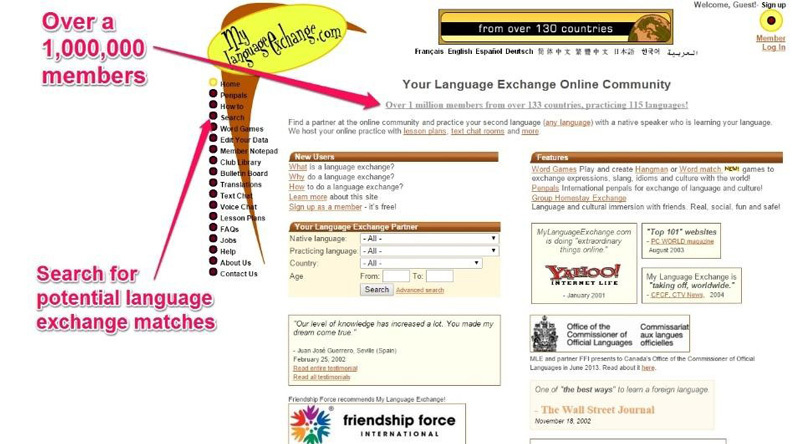 There’s also a number of other websites and apps I’ve used as well – My Language Exchange being my favorite. With over 1,000,000 members (not all are active) you can find people in a variety of countries. Looking for a cool language exchange app? Then check out HelloTalk. 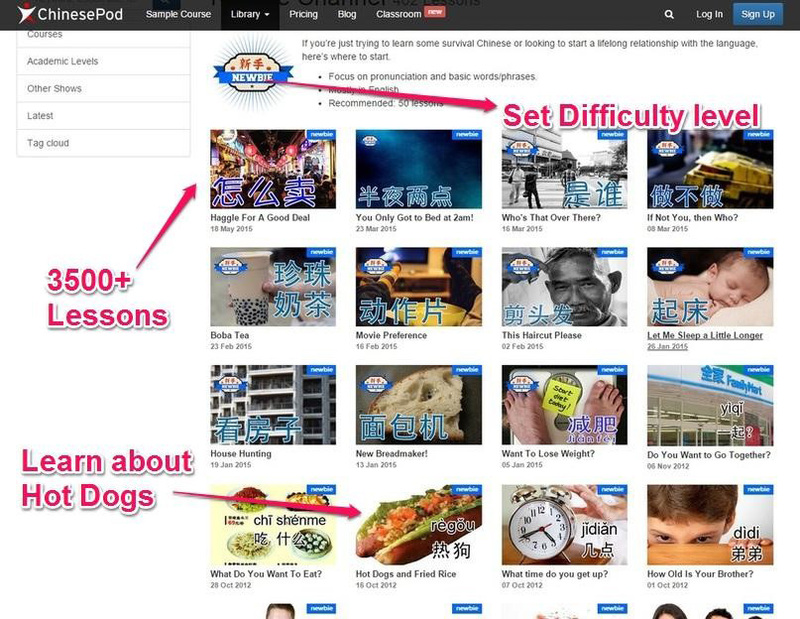 Here’s a cool tip: review your Chinesepod lessons while doing your language exchange. Print two copies of a lesson you’ve already studied and go over vocabulary usage, grammar and intonation with your partner. It’s great practice, and it keeps you away from dry and boring textbooks! I can’t tell you how many hours I’ve spent watching Chinese children’s cartoons, women’s daytime talk shows or just overall stupid TV programs in general. However mind-numbing and painful it might be, watching online videos provides a great way to learn vocabulary, perfect your grammar usage, improve your listening skills and generally understand the language much better. Now, all TV programs are not made equal. You’ll naturally want to stay away from TV programs that focus on a technical subject. You might like watching Discovery Channel in English, but I can guarantee you won’t understand it in Chinese. Stick to simple programs where a lot of casual conversations are happening. While listening to TV, I usually write down words I don’t know, and I also occasionally pause the TV to repeat some of the more useful phrases I come across. Social media is a great way to learn how locals speak and use grammar. The problem is that navigating an entire Facebook post in Chinese can be tricky, especially when people are using words or phrases you don’t know. 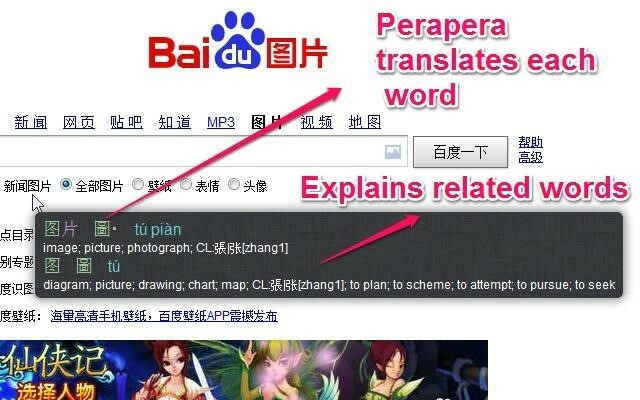 You can copy and paste the entire thing into a translator, or you can use a simple Chrome/Firefox plugin called Perapera. This thing is awesome. Any word that your cursor points at will display the English meaning and character definition above the word. This app has given me the confidence to navigate Chinese websites, and lo and behold, even pay my bills online (remember, I live in Taiwan). I hope you’ll give some of the methods I’ve just introduced today a try, so that you get to really experience the difference. 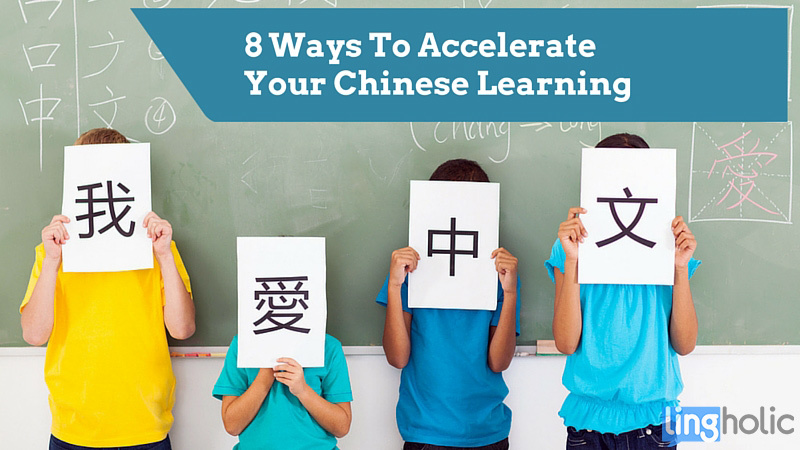 Learning Chinese in the classroom is great; however if you add some of these tech-based options you’ll seriously increase your fluency, overall knowledge and comprehension – plus, you’ll have fun along the way. If anyone wants more great info about learning Mandarin, check me out at Learn Mandarin Today – where I discuss the best way to write Chinese, language learning hacks and tech tools.